What happens when you can’t get started with counter conditioning? Let’s face it, – it is just not always possible to keep a dog “under threshold”. Stuff happens unexpectedly. The requirements of daily life mean sometimes the dog has to go in the car, even when he’s afraid of car rides; we have to get a leash on a dog even if she doesn’t want us to approach her or a dog appears out of the blue on a walk and can’t be immediately avoided. One reason why avoidance behaviors are so hard to overcome is that by repeating them, the dog doesn’t learn that NOT avoiding doesn’t cause anything bad to happen. Is being fearful stressful? We think so. So what if we could help the dog become less fearful sooner? That would be a good thing for sure! That’s the value of response prevention, when used correctly and combined with counter conditioning. Obviously we wouldn’t do something that would cause a dog to panic. But a few seconds of response prevention followed by treats and other good things that the dog can quickly enjoy can circumvent continued expression of the fearful avoidance response that can happen close to or just above threshold. That’s exactly what happened with a wonderful little dog we are caring for. We became good friends in less than 24 hours, and response prevention helped us accomplish that. Learn more about response prevention from our CAABChat with Dr. Peter Borchelt and Ms Nancy Williams. Click HERE to purchase. Members of Behavior Education Network get the replays of ALL CAABChats as a member benefit, along with additional monthly webinar courses that will help you be more successful as a trainer or behavior consultant. BEN teaches you cutting edge techniques and keeps you updated on the latest research. Join us TODAY! Great job Al! I think the big difference between the skilled trainers and the owners are their leash handling skills. Nancy is a great teacher of that. She has people practicing controlling their dogs with the head collars and harnesses in less difficult situations – say in the yard or house when the dog just wants to go investigate something novel. So you might add that for homework. I love this technique because it works amazingly fast. In addition to other techniques, I’m using response prevention in my (dog) Reactive Dog class with some success. 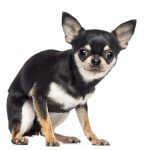 I say “some” because so much depends on how well the owner recognizes the precursor signals that a dog is about to go into a lunge/bark exhibit and how quickly the owner can respond with a backup recall and food,. Both depends in part on a person’s observation skills and physical reflexes. I had them look at ears and tail and also prompted them, which helped. All the dogs did well when handled by a skilled trainer but much less so when the owner held the leash. We practiced first with neutral dogs and then with our feisty class dogs. RP also worked well in class because the conditions were tightly controlled. However, some owners complained that RP was much harder to execute in their home environments, where unfamiliar dogs could appear from many angles and on very short notice. We’re using halters, harnesses and a two-clip leash attached to the front ring and the halter per the Nancy Williams/Peter Borchelt CAAB chat. Besides practicing situational awareness, isi there anything else I could do to help students with RP?